The Tour de France is always one of the sporting calendar's most spectacular and dramatic events. But the 1998 Tour provided drama like no other. As the opening stages in Ireland unfolded, the Festina team's soigneur Willy Voet was arrested on the French-Belgian border with a car-load of drugs. Raid after police raid followed, with arrest after arrest hammering the Tour. In protest, there were riders' strikes and go-slows, with several squads withdrawing en masse and one expelled. By the time the Tour reached Paris, just 96 of the 189 starters remained. And of those 189 starters, more than a quarter were later reported to have doped. 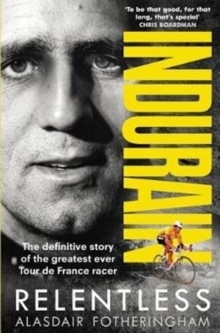 The 1998 `Tour de Farce's' status as one of the most scandal-struck sporting events in history was confirmed. Voet's arrest was just the beginning of sport's biggest mass doping controversy - what became known as the Festina affair. 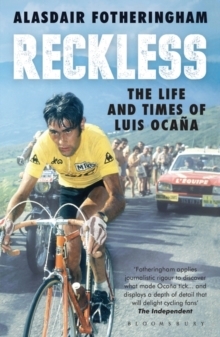 It all but destroyed professional cycling as the credibility of the entire sport was called into question and the cycling family began to split apart. And yet, ironically, the 1998 Tour was also one of the best races in years. 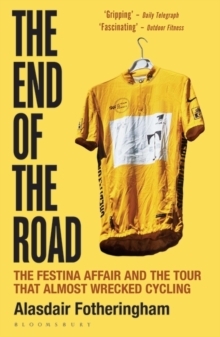 The End of the Road is the first English-language book to provide in-depth analysis and a colourful evocation of the tumultuous events during the 1998 Tour. Alasdair Fotheringham uncovers, step by step, how the world's biggest bike race sank into a nightmarish series of scandals that left the sport on its knees. He explores its long-term consequences - and what, if any, lessons were learned.